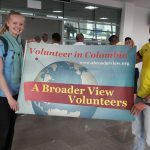 Volunteer Colombia: My month in Colombia was absolutely amazing. I loved everything about the program and didn’t have a single issue. The only part that I found difficult was dealing with the heat! 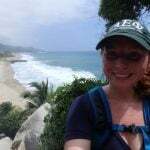 My absolutely favorite weekend trip was to Tayrona National Park. It sounds crazy to go hiking by yourself and then sleep in a hammock surrounded by strangers but I have never seen such a beautiful environment in my life. Excellent, I felt very supported during the program. Program: It is insane to see so many babies in a room all together. 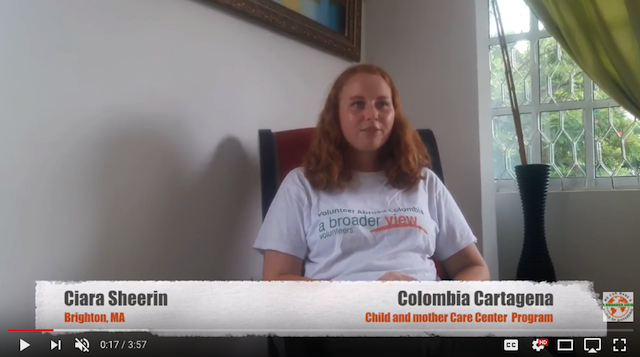 Having grown up around the childcare business it was a very different way of running things so it was very interesting to witness. Host Family: My host mom was amazing and I was very pleasantly surprised at how she included me in the simple stuff such as food shopping and going to the market. I felt more immersed and it was great! Bring light but long pants for the foundation! Also, it’s very unusual to see women wearing shorts in Cartagena so I was grateful that I brought a lot of light pants and dresses to explore in. The only time I wore shorts was hiking! Do the language immersion and try to come into the country knowing the basics at the very least! I didn’t find anything difficult to adjust to. Take advantage of the area! There’s so much history and culture to explore and the weekend trips outside of the city are amazing. I took weekend trips to Playa Blanca and Tayrona and stayed in a hammock at both. 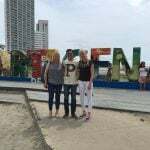 They were breathtaking​ and Tayrona was the most amazing place I have ever been. You should probably get the yellow fever vaccine before Tayrona. I didn’t and was fine but technically you aren’t supposed to enter the park without it. Weekend trips are a great way to meet other solo travelers from all over the world! Each time I got a 2000 pesos bill I saved it for the bus. I had one strange experience where the man collecting money on the bus tried to take advantage of me by not giving me change. I was able to argue for it but it’s a lot easier to just have exact change, especially if you don’t speak Spanish. The water is fine to drink. On the first day I decided to just drink it despite what everyone in the US told me. I didn’t have a single issue and it’s a lot easier than worrying about buying water and not eating certain foods. I got a lot of warnings about cat calling but I thought it existed less here than in the US. Having red hair I would often hear peliroja behind my back and experienced some stares but it never felt annoying or creepy like it does back home. Be careful crossing the street. There are motorcycles coming out of everywhere. 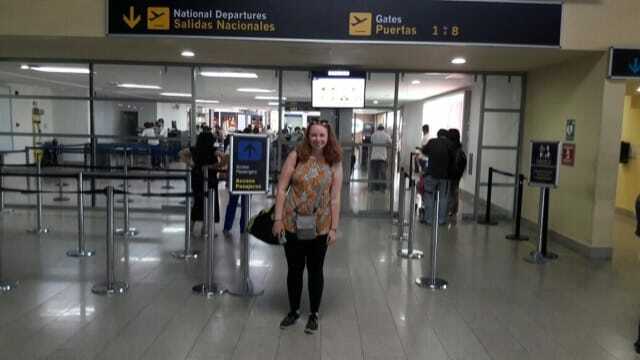 My month in Colombia was absolutely amazing. I loved everything about the program and didn’t have a single issue. The only part that I found difficult was dealing with the heat! 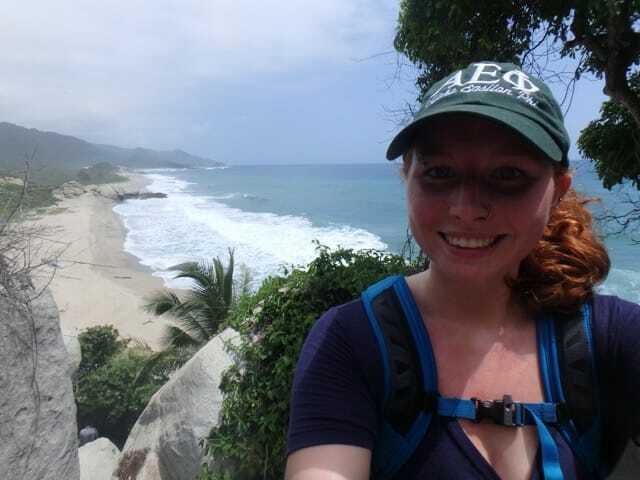 My absolutely favorite weekend trip was to Tayrona National Park. It sounds crazy to go hiking by yourself and then sleep in a hammock surrounded by strangers but I have never seen such a beautiful environment in my life. The experience was breathtaking and is a must! I fell in love with all that Cartagena had to offer. The women at the program, my host family, and the support staff were amazing. Also, the Spanish immersion (lessons) piece was excellent. I am so happy I chose to do it because the amount of time I received in private lessons would be worth $1000s in the US and I felt like it really improved my Spanish. Plus my Spanish teacher was an additional source of support during the program. Overall, my experience was extremely valuable. My host family was amazing! I had no issues being a vegetarian, my room was very comfortable, and I felt safer here than where I live at home if I am to be honest. 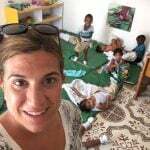 Program: Each day was pretty much the same, but all of them were amazing and I loved working with the kids and getting to know all the women who work there. Host Family: Visiting the market with my host family! It was a great way to see the culture and everyday life of a lot of people from all around the city. I always received a reply within 24 hours and everything I needed to know was answered! 9.- What do you think about the reservation system online? Everything easy to navigate and work. I liked the website and found many great reviews online! I hadn’t heard of the program before until I stumbled upon it through a Google Search. I had another friend who was interested in the program when I told her about it and she honestly thought it was a scam, I believe because of the extreme affordability of the program, but she was completely wrong.